Propspects that two Koreas will hold military talks this month are fading, as the North appears to have pulled back on all inter-Korean cooperation plans following the breakdown of its second summit with the United States last month. The militaries of the two Koreas signed a Comprehensive Military Agreement on Sept. 19, chiefly aimed at calling off all “hostile acts” and preventing military confrontations. They agreed to establish buffer zones along the land, sea and air borders, to remove guard posts in the Demilitarized Zone and to allow freedom of movement inside the Joint Security Area by removing the Military Demarcation Line there. The two sides appear to have toughened their stances afterward, with Pyongyang even saying it will “reconsider” negotiating with Washington. On Friday, North Korea abruptly pulled out of a liaison office with South Korea in the Northern border city of Kaesong, the Ministry of Unification here said. 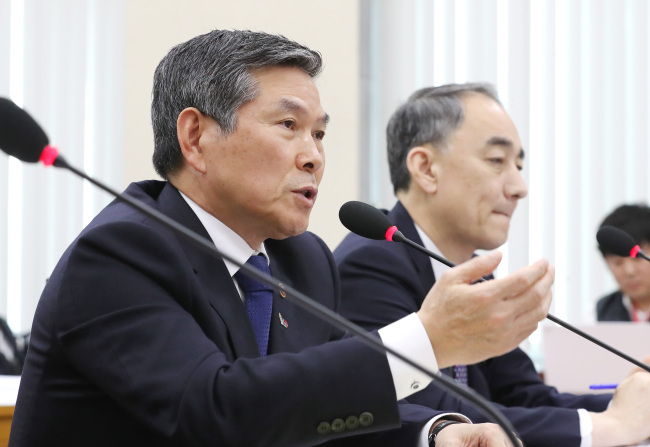 But while Seoul’s Defense Ministry sent a list of personnel to take part in the project on March 6, the North has not reciprocated, the ministry here said. This year, the two Koreas only held one round of colonel-level military talks on Jan. 30, in which they discussed the joint use of the Han River estuary, where civilian access has been limited due to tensions.